Meet one of India’s most prolific killers: Of India’s estimated 2.8 million new cases of tuberculosis (TB) last year, over 4 lakh among them succumbed to the disease. That’s almost 1100 victims every single day. Among TB’s most frequent victims — in terms of both infection rates and mortality — are the Sahariya tribe in Madhya Pradesh. 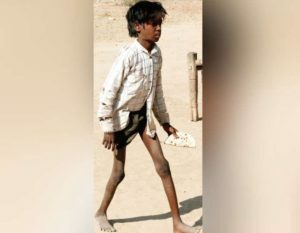 At any given time, 1,518 out of every 100,000 Saharia people living in Sheopur district, and over 3,000 in the district of Gwalior, are suffering from TB. By way of comparison, the prevalence per lakh population for the rest of India is just 211, and for the Baiga and Bharia tribes, neighbours of the Sahariyas, the numbers are 146 and 432 respectively. Besides being infected seven times as often, Sahariyas also experience very low success rates in TB treatment: in some villages, ‘every third house has a TB widow’, and Sahariya people are twice as likely to have Multi-Drug Resistant (MDR) TB, which is much harder to cure. So what makes the Sahariyas the perfect victims of TB? Five key factors, well known to the experts, are at play here. Nutrition: With TB, only 10–15% of people who are exposed to the bacteria experience the full-blown disease — and what makes all the difference is individual immune systems. One key building block of immunity is nutrition: people without regular access to nutritious food are far more likely to develop a TB infection. 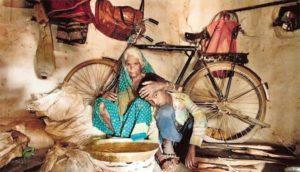 And the Sahariyas have very poor nutrition outcomes: A study from 2013 found that 90% of Saharia households are chronically food-insecure, and there were 150 starvation deaths among the community in 2016. 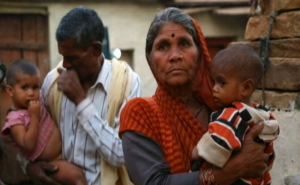 90% of Sahariya women are anaemic, compared to 53.6% for Madhya Pradesh overall. Living Conditions: TB is an airborne disease, and proximity is enough to cause infection or reinfection. Sahariya people live mostly in kaccha houses (96.5%) in remote locations, and their living arrangements also result in overcrowding — all of which create the ideal conditions for the infection to spread. 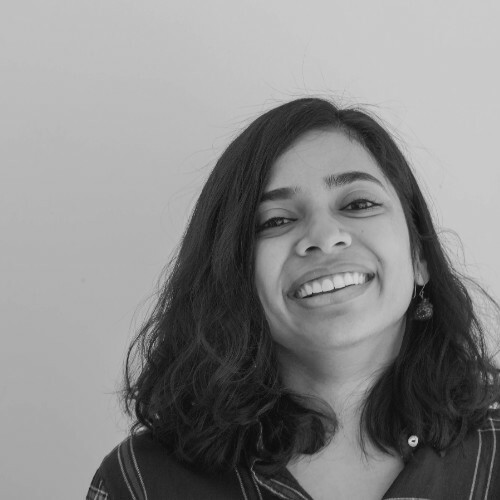 TB also lies in wait in the poorly-regulated open-cast mines where many impoverished Sahariya men work: The mining dust affects water and air quality, increasing the chances of respiratory infections like silicosis and TB not only in mine workers, but also those who live in surrounding areas. Migration: Unstable livelihoods and agricultural distress turns Sahariyas into seasonal migrants, travelling to work in agriculture and construction in neighbouring states every year. This frequent movement makes it harder to track down those exposed to TB quickly, begin their treatment early, and ensure that they complete the TB treatment regimen (which can take anywhere between 6 months and 2 years). The risk of infection and poor treatment outcomes is so much higher for migrants that both the WHO and the International Organization of Migration (IOM) recommend treating them as a ‘high-risk group’, with targeted interventions just for them. Access to Healthcare: The distance to public health centers, poor quality of services provided there (One widow recounted government doctors saying her husband’s treatment was complete), and negative attitudes of health workers towards their community make Sahariyas less likely to complete the free course of treatment and recover. Care in the private sector, on the other hand, isn’t free, so TB patients among the Sahariyas use it when they can afford to, rather than regularly as prescribed — which increases their risk of developing drug-resistance. Substance abuse: Substance abuse also creates the perfect prey for the disease. It weakens the person’s immune system, gives rise to behaviour or stigma that isolates him/her socially, and decreases both the chances of taking medicines regularly as well as the effectiveness of medicines taken. A study conducted among the Sahariyas concluded that smokers in the community are almost five times as likely to contract MDR-TB as those who do not smoke, and alcohol abuse also increases the chances of infection. We already know that tribal populations are more vulnerable to TB — the National Strategic Plan for TB control mentions them as a high-risk group. We know that migrants are more susceptible to TB as well — in fact, we know well the evidence that links each of the factors mentioned above to the risk of dying from TB. The real mystery isn’t why the Sahariyas are getting ill, but why we aren’t able to change this, despite knowing so much about it. In fact, what the Sahariya case shows is that our approach to treating communities at high risk from TB is inadequate. There are three particular gaps in how we address these groups, which urgently need to be plugged:Although the National Strategic Plan specifically mentions the need to prioritise high-risk populations in prevention and treatment, we don’t have a clear strategy to identify, screen and treat on priority those who are especially vulnerable to TB — and that’s alarmingly overdue. Communities like the Sahariyas, with multiple interlocking risk factors, urgently need access to information on how to prevent, recognise and secure treatment for TB — and they need health systems that are welcoming to them and sensitive to their needs. They need to be empowered for self-defence. Tuberculosis has been around for thousands of years because it requires an incredible combination of health system effectiveness and community-centric approaches to address it. On the health system side, this means active surveillance of communities to quickly identify new cases, quick and accurate diagnosis, provision and monitoring of treatment to ensure success, and nutritional, financial and medical support for patients to get them through the period. In the community, we need to prevent stigma, build supportive networks and to identify and tackle those social and economic determinants that make some individuals or groups particularly susceptible to the disease. This integrated approach — which needs to be sustained with each patient over the 6 months it takes to successfully complete treatment — is a hugely ambitious goal, but also the only approach that could possibly #EndTB by 2025. Not one of the research pieces — and just one journalist I came across — actually spoke to the Sahariyas to understand their health needs. How does this community perceive TB? What constraints do they face in access to care, and what coping strategies do they deploy? Without addressing the lived experiences of those affected by TB, we can’t bridge the gap between what we know about TB and what we do to eliminate it. One goldmine of both information and outreach potential is the vast community of those who have recovered from TB, also known as TB Champions. These living witnesses to TB’s crimes need to be proactively engaged if we are to understand TB’s persistence, build effective programmes, achieve our elimination goals, and save thousands of lives. If we get our strategy right with the Sahariyas — given their high prevalence of infection, difficult socio-economic conditions, and constraints to healthcare access — we can replicate the model for others as well. Every TB patient will benefit. Our healthcare system has harboured this fugitive for long enough. It’s time we put in the resources needed, so that justice can be done.